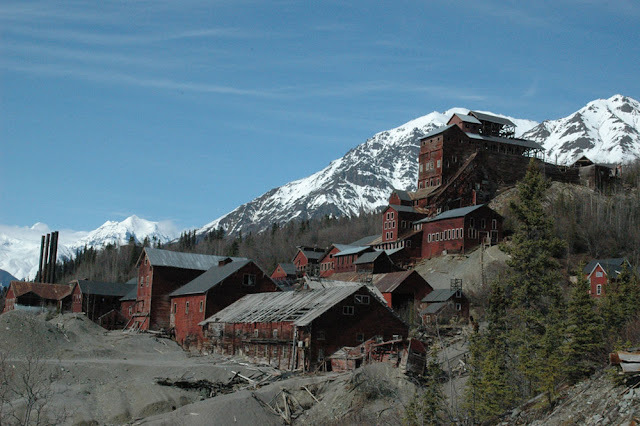 Kennecott, also known as Kennecott Mines is an abandoned mining camp in the Valdez-Cordova Census Area in the U.S. state of Alaska that was the center of activity for several copper mines. 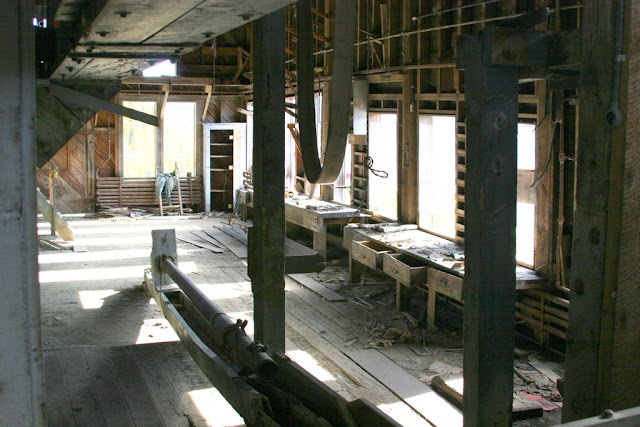 The camp and mines are now a National Historic Landmark District administered by the National Park Service. In August 1900, two prospectors, Jack Smith and Clarence Warner, spotted a green patch of hillside that looked like good grazing for their pack horses. 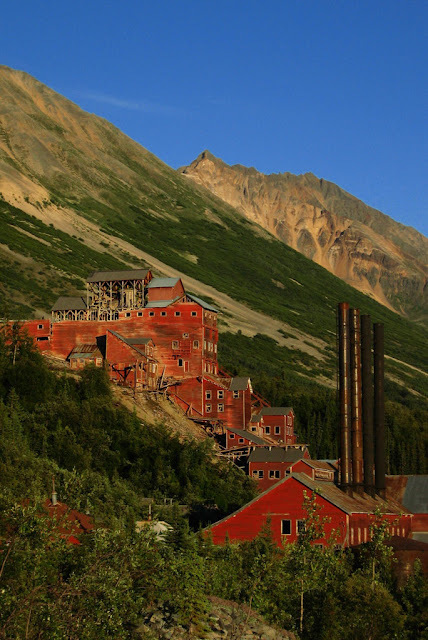 The green turned out to be part of a mountain of copper ore. 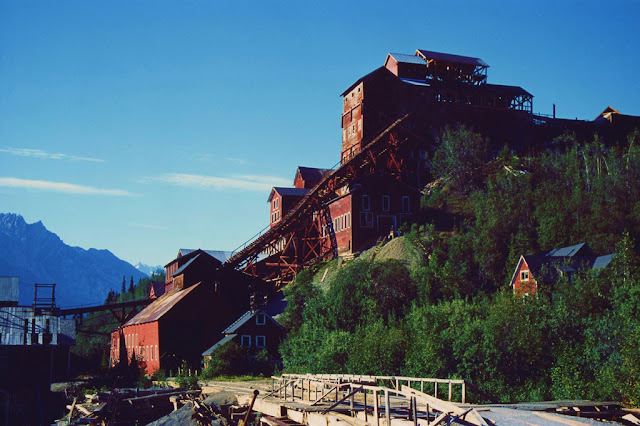 They, together with nine friends, formed the Chitina Mining and Exploration Company. 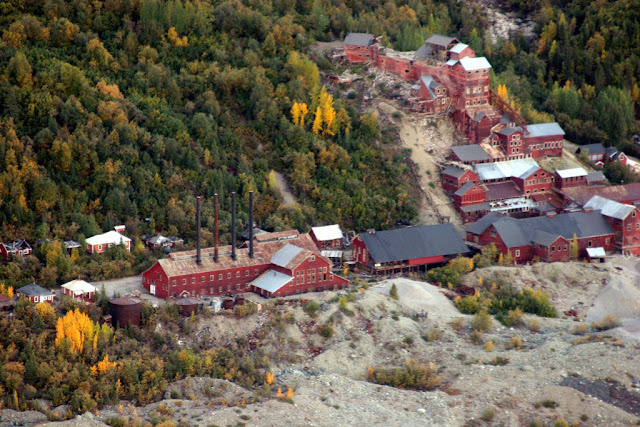 Shortly after this time, a U.S. Geological Survey geologist found a sample of ore that analyzed as containing 70% copper as well as silver and traces of gold. 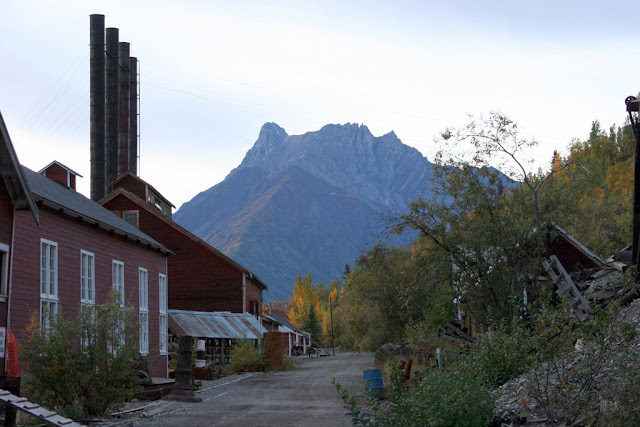 Stephen Birch, a mining engineer just out of school, was in Valdez when members of the Chitina Mining and Exploration Company arrived in the fall of 1900. Birch, who knew wealthy people in the northeastern United States, bought the prospectors' interest in the mine for $275,000. 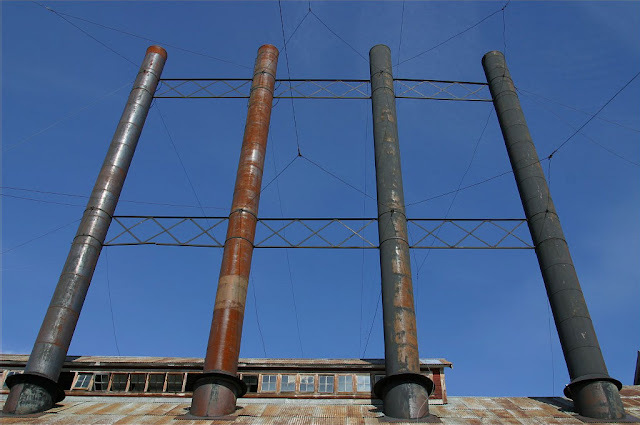 Within twenty years, the find proved to be the richest known concentration of copper in the world. 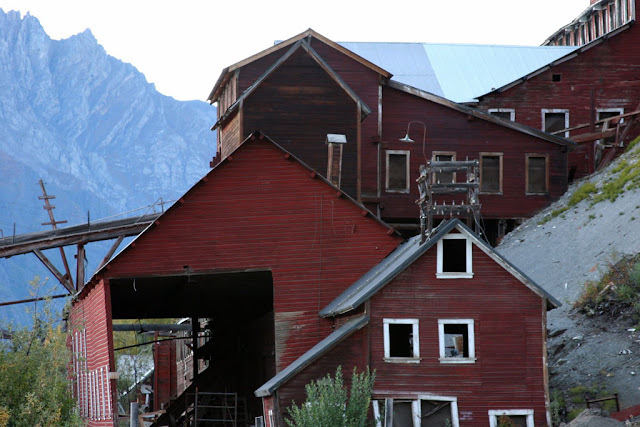 Kennecott had five mines: Bonanza, Jumbo, Mother Lode, Erie and Glacier. 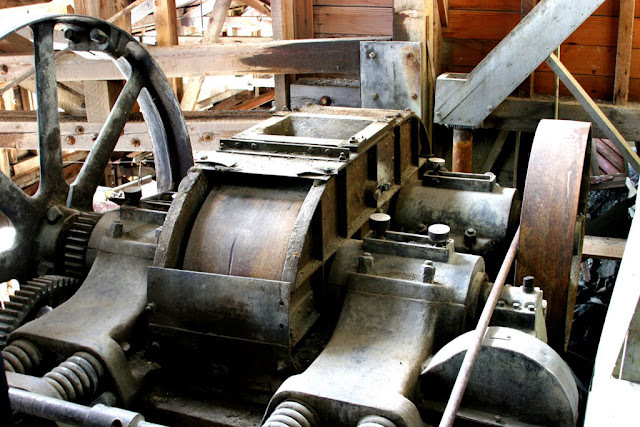 In 1916, the peak year for production, the mines produced copper ore valued at $32.4 million. 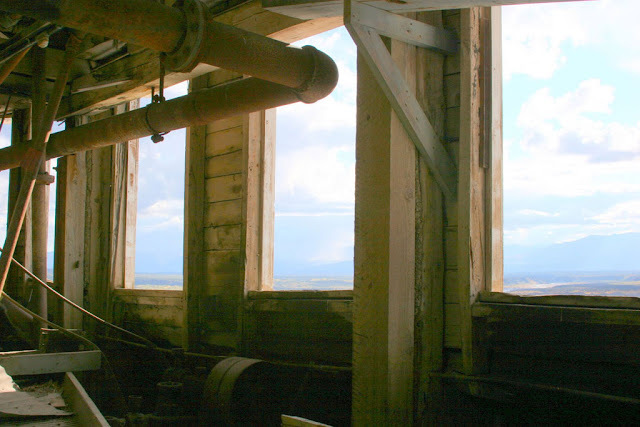 In 1925 a Kennecott geologist predicted that the end of the high-grade ore bodies was in sight. 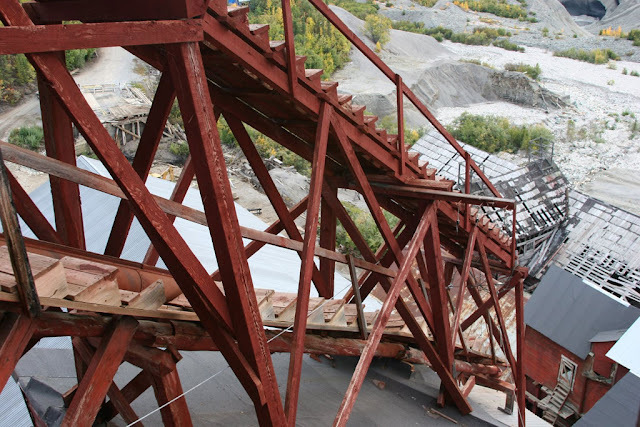 The highest grades of ore were largely depleted by the early 1930s. 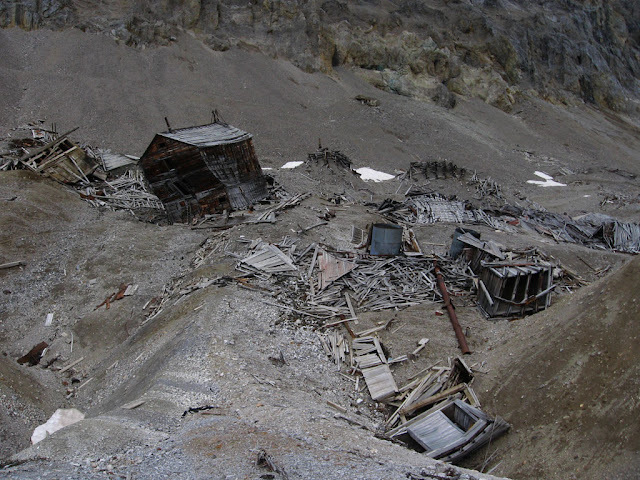 The Glacier Mine closed in 1929. 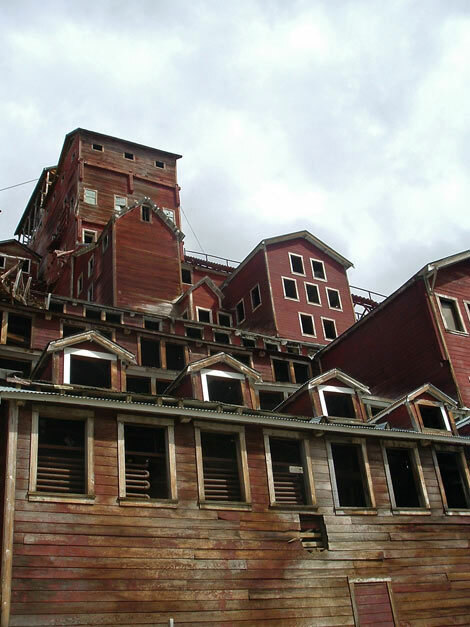 The Mother Lode was next, closing at the end of July 1938. The final three, Erie, Jumbo and Bonanza, closed that September. 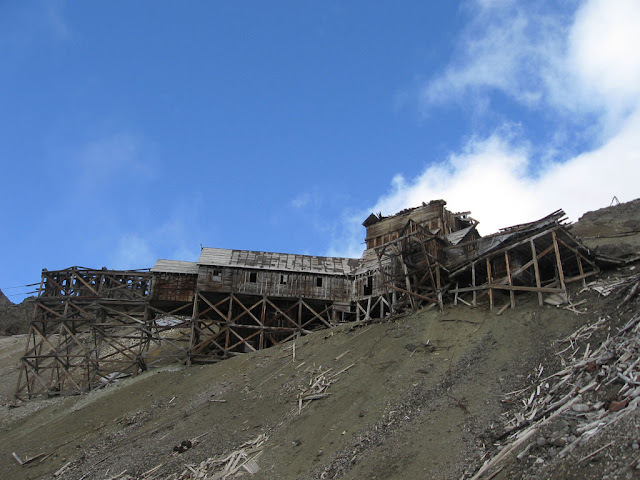 The last train left Kennecott on November 10, 1938, leaving it a ghost town. 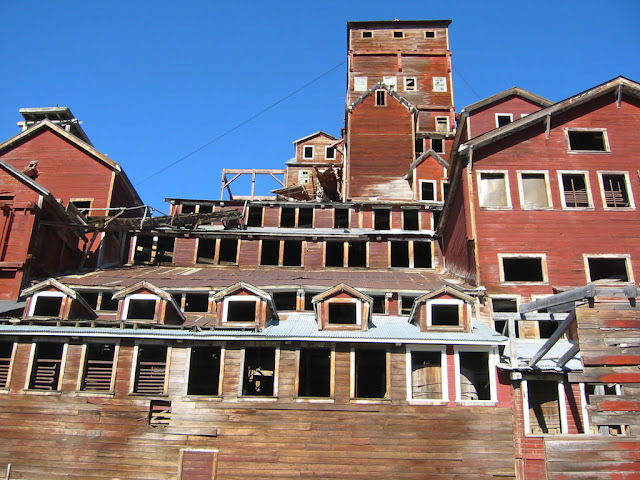 From 1939 until the mid-1950s, Kennecott was deserted except for a family of three who served as the watchmen until about 1952.